For more background information, read Joslyn Castle’s Brochure, and a delightful New York Times article, written by David Dunlap right during the mural event. 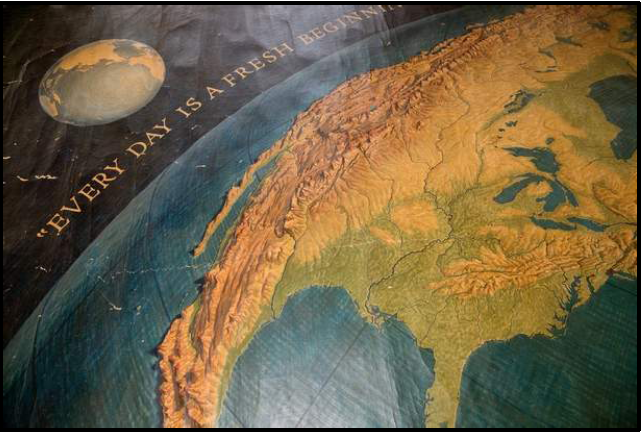 Also, a front page article in the Omaha World Herald describes this mural, and an earlier Herald article announced the painting’s original installation. Additional photos of this mural and all the folks involved with its restoration are available here. 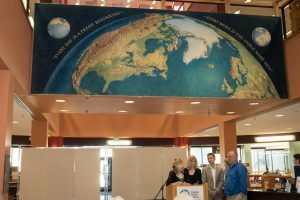 The Kingman/New York Times Mural was dedicated at the Dale Clark Public Library in Omaha during a presentation by Maureen McCann Waldron. The Kingman daughters (Elizabeth Anne Kingman and Mixie Kingman Eddy), grandson, Quinlan Kingman Eddy, and nephew, Lou Kingman, were present. 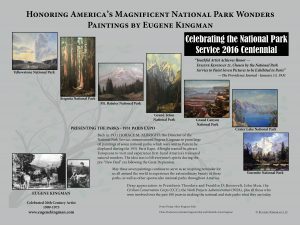 Eugene Kingman’s seven National Park paintings for the 1931 Paris Expo were displayed in a poster presentation during this special Symposium on June 20-25, 2016 in Santa Fe. 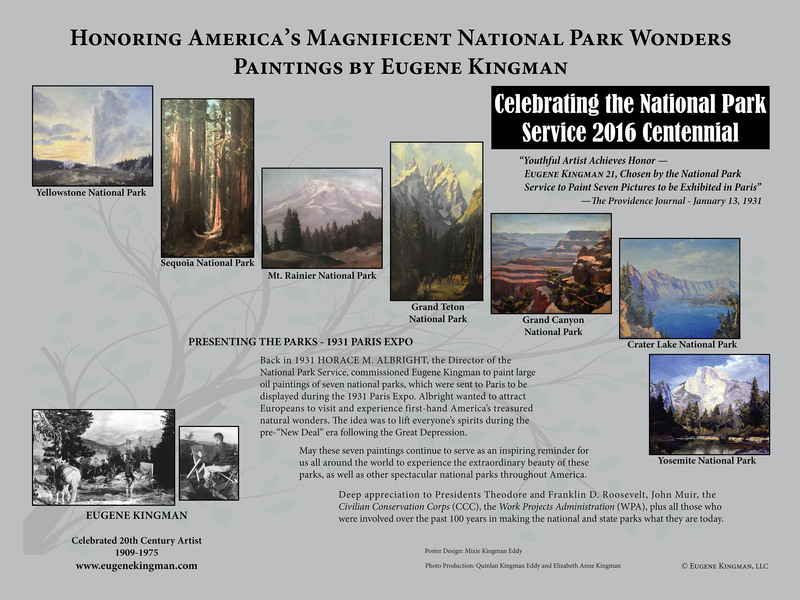 This poster, designed by Eugene Kingman’s eldest daughter, Mixie Kingman Eddy, features paintings of popular national parks: (Yellowstone, Grand Teton, Grand Canyon, Sequoia, Mt. Rainier, Crater Lake, and Yosemite).